Ujung Kulon national park – a reserve on the western tip of Java, home to a lot of protected wildlife and just a few hours from Bandung – has some young white rhinos! Thought to be on the verge of extinction, they are a sign of hope for the future. My favourite part was the camera-smackdown at the end. And whiie we’re on the subject of hope in the Indonesian environment, here’s news of a great success in re-introducing native species to cleared land, up in Borneo. It makes me feel all warm and fuzzy. 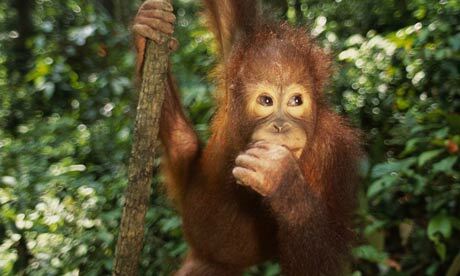 This recent story tells of the clearance of tropical forests to make way for palm oil. Boo! And this one investigates the effects of Indonesia’s paper industry. How can we make positive changes in our lives to create real, measurable improvements in the local and global environment? Posted on June 1, 2008, in Environments, Human Impacts, New Scientist and tagged biofuel, indonesiatastic, papermills, white rhino. Bookmark the permalink. Leave a comment.